This dish was inspired by a James Martin’s recipe. It’s simple to make, effortless and very good value for money. And the meat is so tender and juicy. 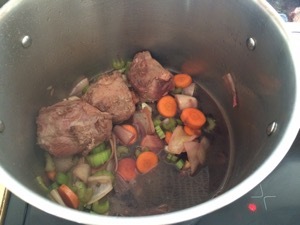 If you don’t like pig’s cheeks, don’t worry, this recipe works with beef, veal or even chicken (preferably thighs). I love a good stew. It always warms my heart. I know it’s more of a winter dish, but served with pasta or just on its own with a nice piece of bread and a green salad, you won’t be able to resist it! James Martin cooks his in the oven but I cooked mine on the hob, on a low heat for 2 hours. 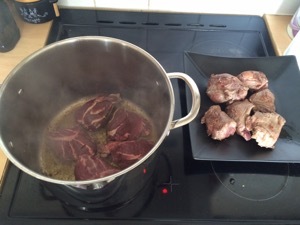 In a casserole dish, brown the meat in the olive oil. I would recommend to do it in batches otherwise it won’t brown evenly. Once all the meat is browned, set aside. Reduce the heat. 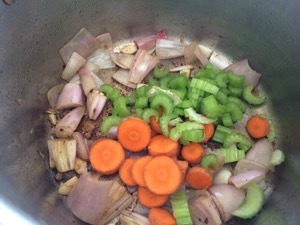 Add the carrot, celery, shallots and garlic. Leave to cook for a few minutes. 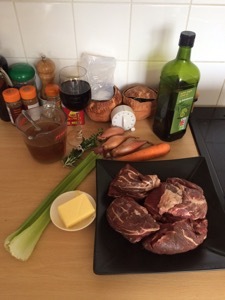 Add the meat then the red wine. Cook for another 2-3 minutes. 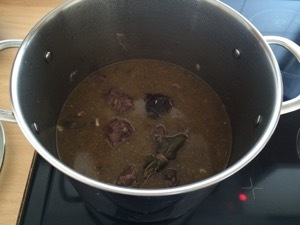 Add the stock and the bouquet garni. Bring to boil and reduce to a simmer. Cover and leave to simmer for at least 2 hours. 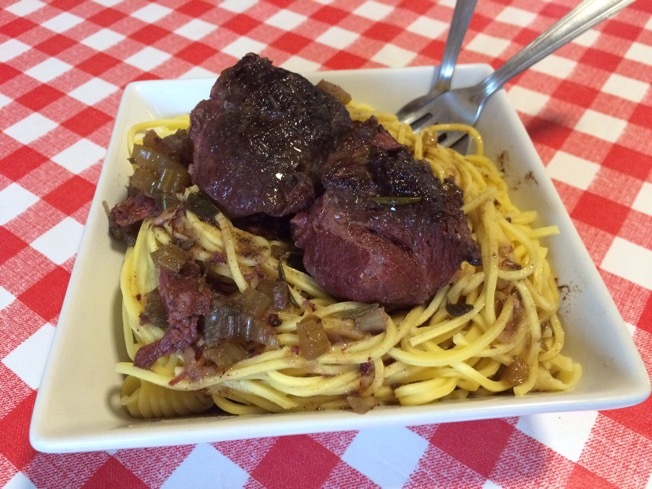 Et voila, my pig’s cheeks stew served with fresh pasta. Bon appétit!! 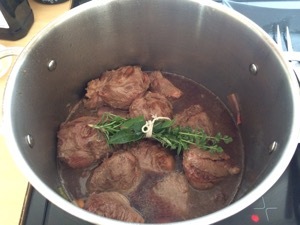 Great cut of meat for a stew – I think it’s also called jowl too?